"Memory, landscape, everyday activity imbued with mysticism." "A painting should contain more than just decorative colour. It should depict human moods such moods that people who do not have the trained eye of a painter can also see and feel when they walk in nature." 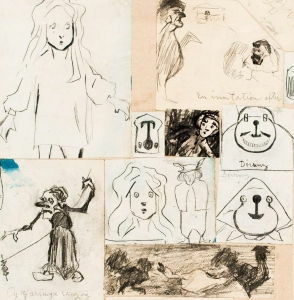 "Edvard Munch, I cannot abide. Everything that he does is supposed to be so brilliant that it doesn't have to be more than merely sketched." Pastor's son Nikolai Johannes Astrup was the eldest of fourteen children. His father Christian Astrup, was a parish priest at the Lutheran Ålhus Church in Jølster; his mother, Petra Konstanse, was the daughter of Peder Mørch Lodtz, a glove manufacturer from Bergen. Astrup was born in Bremanger in Sogn og Fjordane, Norway, but spent his formative years in nearby Ålhus. It is well known that Astrup rebelled against his father's strict Christian morality. Astrup's father had hoped his eldest son would join the priesthood and duly sent him to study theology and Latin at the Trondheim Cathedral School between 1895 and 97. However, Astrup was drawn more to drawing and painting, and he performed poorly in his examinations. Following this setback, he returned home where he tutored his younger siblings, and designed wall hangings to be woven by his mother. Soon after, in 1899, he decided to move to Kristiania (now Oslo), where he spent just two weeks attending evening classes in printmaking at the Royal School of Drawing (Kongelige tegneskole), before going on to study at Harriet Backer's school of painting, where he remained until 1901. Here, he studied life drawing, worked in oil, produced his first etchings, and started to develop what was to become his neo-romantic style. Backer later described him as one of her most promising students: "I allowed him to work in the direction he wanted, as I understood he was the true genius of the school" she later recalled. In 1901 Astrup moved to Paris to study under Norwegian artist Christian Krohg at the Académie Colarossi. Though he only attended for a year, Krohg, like Backer, spoke highly of Astrup, remarking that "When I speak of Mr. Nicolai Astrup as an artist, it cannot be the way an older artist speaks of a young artist as a 'beginner'. Mr. Astrup is in no way a beginner even though he has been painting for a very short time. His unique talent has brought him past the first phase of development, a period where most people stay for at least ten years." During his time in Paris, Astrup became enamored with Japanese ukiyo-e woodcuts, particularly those of Utagawa Hiroshige. He saw in these works an ideal style with which to present the vibrant, sometimes harsh, Norwegian landscape which he loved so dearly. He also developed an interest in photography at this time and invested in his first camera. Whilst staying in Paris, Astrup made short trips to Berlin, Dresden and Hamburg with the aim of visiting museums and studying their treasures. He developed a particular interest in the French primitive painter, Henri Rousseau, and the Swiss Symbolist Arnold Böcklin. He once said of Böcklin, "It seems to me at the moment that there is no artist I understand as well as him, but maybe [he] is also easy for everyone to understand [...] what is most exciting about his pictures is their unexpectedness, a moment that sends a shiver down one's spine, and yet one can enjoy the sight of them for a long time afterwards." So taken with was he with Böcklin, in fact, that he named his first son (born in 1914) Arnold Böklin Astrup. Astrup had his first solo exhibition at Blomqvist's Auction House and Gallery (Blomqvist's Kunsthandel) in Kristiania in 1905 (the same year that Norway gained independence from Sweden). As a direct result of this triumphant exhibition, Astrup sold several works and garnered widespread critical acclaim. 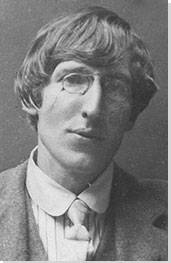 He held other significant exhibitions at Bergen in 1908, and again in Kristiania in 1911. Astrup was by now recognized as Norway's most important artist, a status he enjoyed until his death. Between 1906 and 1907, Astrup retreated to Sunde, which lies between the lakes of Jølstravatnet and Kjøsnesfjorden. 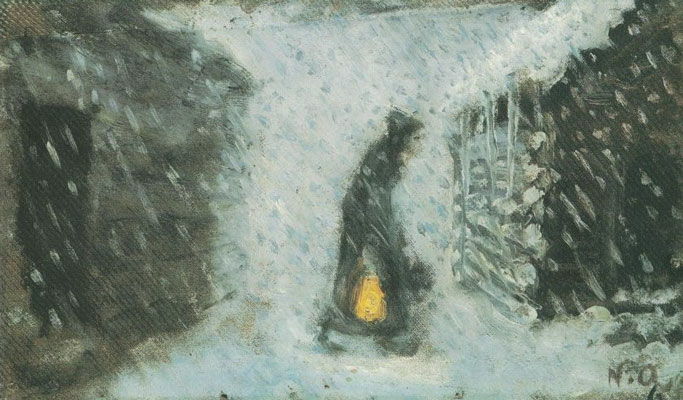 One day, whilst working on a painting of the mountain Kleivefjellet (which he called Kollen), the weather took a turn for the worse, and he sought shelter at a nearby farm. 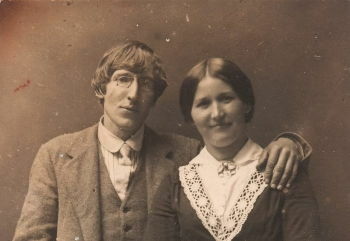 Having become friends with the farmer and his family, the 26-year-old Astrup fell in love with the farmer's 15-year-old daughter, Engel Sunde. On December 23, 1907, the couple married, and they went on to parent eight children. Engel's young age caused some controversy, however, and for a time Astrup believed himself to be at risk of losing a grant. In a letter to his friend Henrik Lund, Astrup wrote, "It is true that I married a rather young girl but I do not think that it is immoral to a degree that I should be deprived of my stipend for that reason." In early 1908, Astrup, having secured his stipend (from the Henrichsen fund) travelled to London where he visited the National Gallery, the Victoria and Albert Museum, and the Tate Gallery. He later said of the trip "I was in London. I wanted to go and see Constable, who painted [...] a similar nature to that of western Norway. I think he is the first landscape painter who understood landscape in colors." Later, In 1911, Astrup received a Houen travelling scholarship and this time visited Berlin, where he briefly studied at a private art school. His studies took him to numerous galleries and exhibitions, including the XXII Berlin Secession, where he was impressed by the paintings of Henri Matisse and the proto-expressionists, Max Slevogt, and Lovis Corinth. 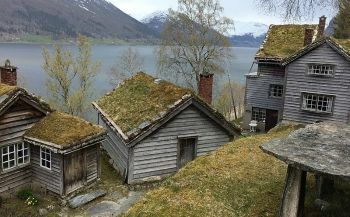 The married couple lived at a vicarage until their first child (daughter Kari) was born in 1911, after which they moved to Myklebust, on the south side of Jølstravatnet. In 1913, and following problems with the landlord, the pair relocated to old cotter's farm in Sandalstrand (now Astruptunet), on the south side of Lake Jølstravatn. 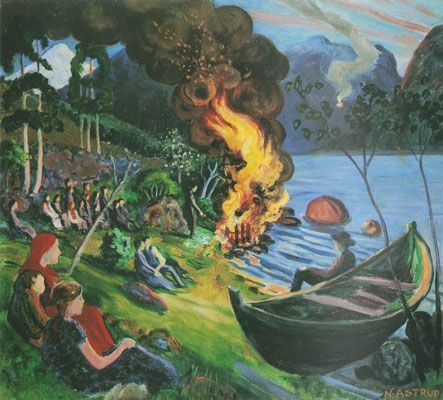 Despite Astrup's growing reputation, the young family struggled financially, and the artist suffered health problems, including severe asthma. Nevertheless, Astrup continued to create art while also running and developing the farm. In fact, the farm and garden at Sandalstrand would become motifs in Astrup's later work. Even in later years, Astrup was open to new influences. In autumn 1916, for instance, he travelled with Bergen artists Moritz Kaland and Nils Krantz to Stockholm and Copenhagen in order to study modern French, Danish, and Swedish art. In 1917, he began subscribing to the newly published Danish language avant-garde periodical Klingen. 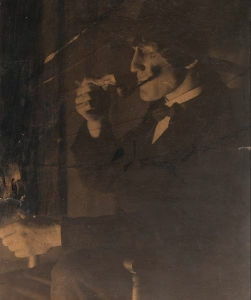 Edited by ceramicist Axel Salto, writer Poul Uttenreitter, and, from 1918, author and critic Otto Gelsted, Klingen was published over 28 issues between 1917-20. 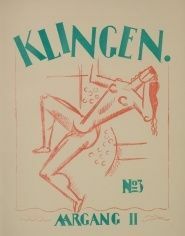 Klingen whose contributors included Poul Uttenreiter, Tom Kristensen, Emil Bønnelycke, Gabriele Münter, Harald Giersing, Albert Naur, Per Krohg, Vilhelm Lundstrøm, allowed Astrup to keep abreast of international developments in Modern art and it informed his first exhibition of woodcuts in May 1918 at the Artists' Association, Kristiania. In 1919, Astrup received a travel grant from the Conrad Mohr Foundation, but due to poor health he had to postpone further overseas travels. Astrup was greatly frustrated by this, and spent some time seriously considering either emigrating the United States or travelling to Munich to study with Wassily Kandinsky. As he said at the time, "I would like to study the abstract painters a little more closely - Kandinsky and the other Russians - basically they interest me more than the French - Picasso and Matisse - although I would really like to have a French painter such as Le Fauconnier as a teacher." In 1922, for health reasons once more, Astrup and Engel travelled to North Africa via Germany, Austria and Italy. They then spent some time in Tunis and Algiers, where their sixth child, Peder Alger Conrad, was born. Astrup died of tuberculosis and pneumonia on January 21, 1928, at just 47 years of age. 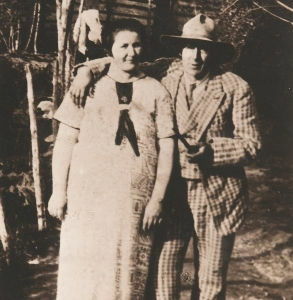 His wife, Engel, survived him by thirty-eight years and, in addition to raising their eight children (the last of which was born in 1926), she became a successful textile designer, and maintained the garden and buildings that she and Nikolai had built at Sandalstrand (since 1986, home to the Astruptunet gallery). Commenting on an imminent career retrospective of his work at London's Dulwich Picture Gallery in 2016, the arts columnist, Maev Kennedy, noted that Astrup was little known outside of Norway where his "paintings are really loved". The Norwegian people's devotion to his art was the reason for his relative obscurity since there was "only one print and no painting in any British collection and [only] a handful in the US." Though the Dulwich exhibition would help bring the artist's vibrant and colorful talents to the wider attention of the public and the art establishment, hitherto, loans of his work had been hard to come by, outside the major collection held at Bergen. In Norway, however, Astrup enjoys near heroic status. So loved is he in fact that his images hang in schools, public buildings, and on so many of the walls of ordinary Norwegian homes. In the view of co-curator Ian Dejardin Astrup's painting was unique in the way it "rejected the stylistic trickery of aerial perspective, resulting in canvasses of intense immediacy and brightness of color"; while in prints, "he followed his own innovative path, laboriously reworking his woodcuts so that every print is a unique work of art." Dejardin was left to declare that Astrup now needed be "celebrated outside his native Norway." One would be hard pressed to find reviews of Astrup's art that avoid comparisons with Munch. Indeed, the pair were both expressionists who transformed the literal world into one of sensational color. 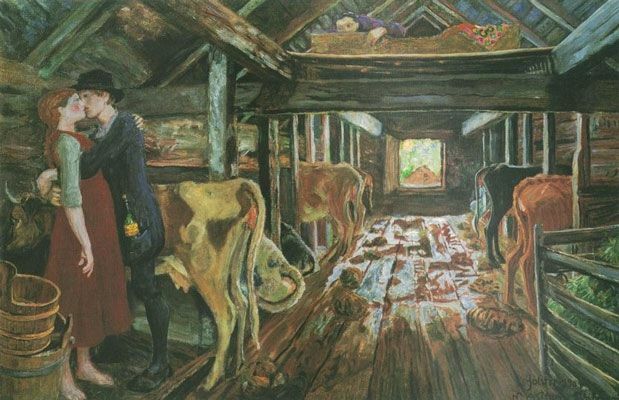 However, Astrup's work, especially after his marriage, tends to be brighter, less introspective, and more harmonious than his more famous compatriot. 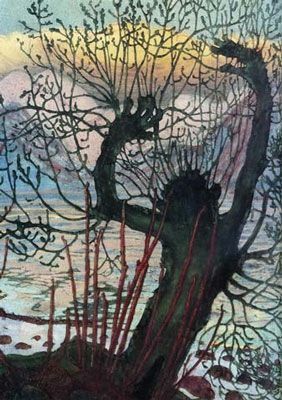 Arts columnist Claudia Massie asserts that Astrup possessed a singular childlike vision that gave his work "a remarkable natural clarity of light throughout" and which was "drenched in the wet hues of western Norway." His work, she concluded, is "simultaneously odd and truthful." 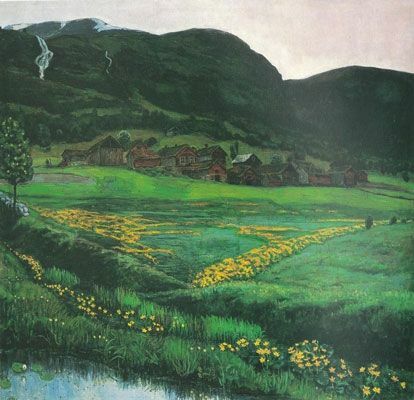 In 1986 the Astruptunet gallery, which features a permanent exhibition of Astrup's art, graphics, paintings, lithographs and sketches, was established within the idyllic rural surroundings of south Jølstravatnet. Astruptunet was not just the artist´s home, it became an important part of his creative life. According to Kennedy, "as a final work of art in its own right [Astrup had] built himself a home, Sandalstrand, on the precipitous shore of the lake that must be one of the most beautiful artists' homes in the world." This is one of three paintings that Astrup created in his youth by painting upon fabric from used trousers, in all likelihood because he was struggling financially and unable to afford canvas (a seam from the trouser leg can be seen at the upper edge of the image). "Early winter morning (fantasy) Snowdrifts. Grey on grey, white and blue, light grey sky with dark grey flakes. The only element not fitting into this grey scheme is a lantern carried by a dark grey figure. The pinkish light cast against the snow fuses with the lantern's form. A vague suggestion of daylight [is] the only [thing] showing itself over the rounded snow shapes on a rooftop [...] The grey probably contains some colours, but these are so subtle, they are not noticed, and nowhere is one stronger than another, to the extent that it sticks out!" This painting serves as an example of the way that neo-romantic painters used landscape and weather conditions as a way to convey strong memories and emotions as evoked through the forces of nature. In Astrup's early works snow is depicted as a natural adversary to be endured and overcome. In later works, however, snow often appears merely in the background, typically adorning mountaintops. Here it dominates the scene, obliterating the landscape and threatening to envelop the figure driving the picture's narrative. This work also serves as an example of the darker, more ominous quality that characterized much of Astrup's earlier works. 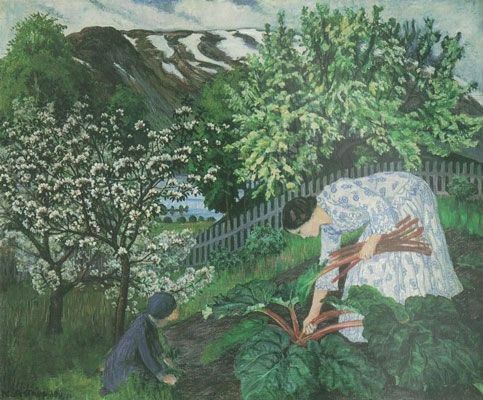 It is frequently speculated upon that Astrup's work took on a lighter, more vibrant and joyous, tone following his marriage to Engel in 1907.